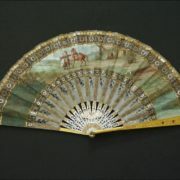 Fans were a sign of the wealth and authority of the owner. 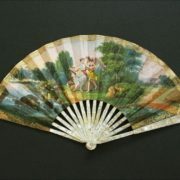 The historians believe that the first fan appeared in China. 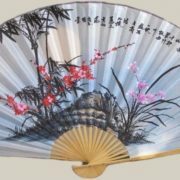 Mentions of these things are found in the works of ancient Chinese poets, dating back to the second millennium BC. 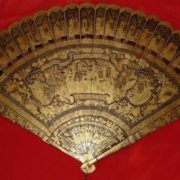 During the excavation of the grave of the principality of Chu fragments of fans made of feathers with a wooden handle were found. 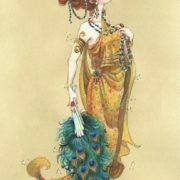 Similar findings refer to the Eastern Zhou Period (770-256 BC). 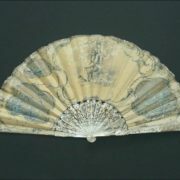 In the III century BC, Chinese fans had a semi-circular shape. 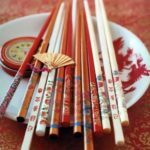 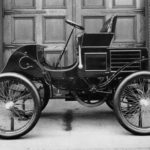 They were made mainly of thin bamboo plates. 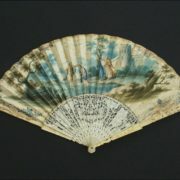 Later, the masters began to make round paper fans on the handle. 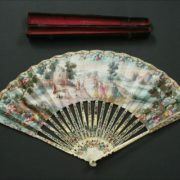 In the I century, the Chinese presented several such fans to the Japanese emperor. 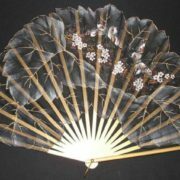 Japanese masters created a folding fan of wooden plates and strong paper. 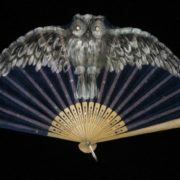 In 988, Japanese monks presented the Emperor of China with two fans in the form of a bat and twenty other colorful folding fans. 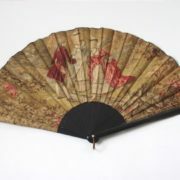 During the Chinese Sui and Tang Dynasties (581-907) round fans appeared. 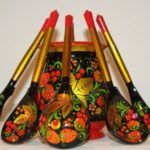 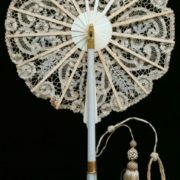 They were made of bamboo or wooden plates and fine woolen cloth. 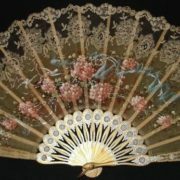 But after the gifts of the Japanese there was a fashion for folding fans, which were constantly improved. 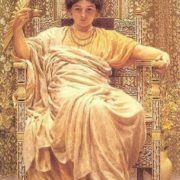 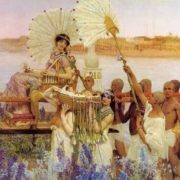 Masters began to use gold, jade, ivory, turtle shell, animal horns, sandalwood and bamboo. 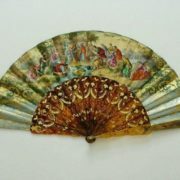 During the Ming Dynasty (1368-1644) the masters were engaged in carving on fans. 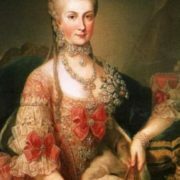 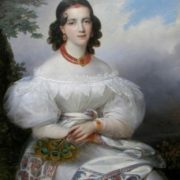 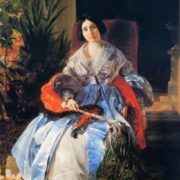 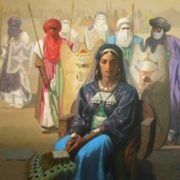 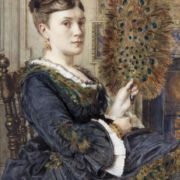 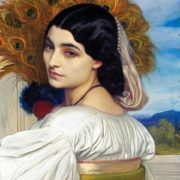 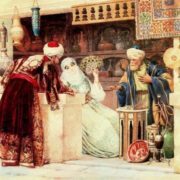 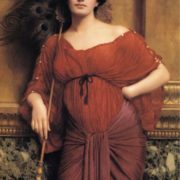 They depicted mountains, rivers, flowers, birds and animals, as well as portraits. 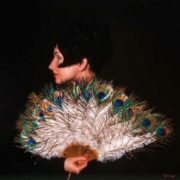 Another direction was skillful calligraphy. 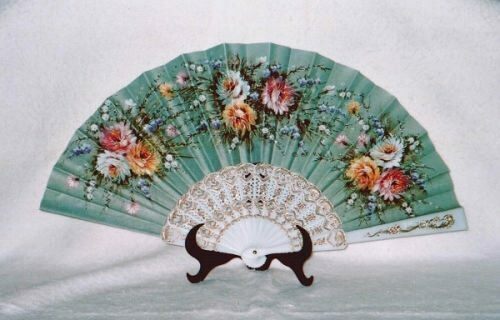 In Japan, Korea and China, the fan was also used as a weapon. 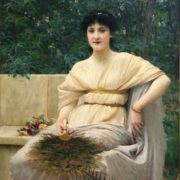 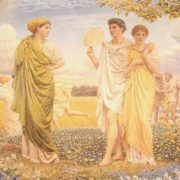 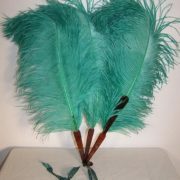 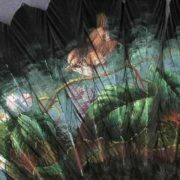 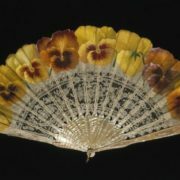 The aristocrats in Ancient Greece and Rome also used fans made of leaves and peacock feathers. 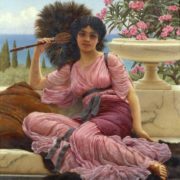 Flabellum was a fan on the long handle in Rome. 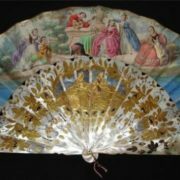 In Byzantium, the fan was used in the church service, in order to drive the flies away the Holy Gifts. 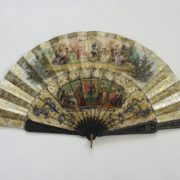 In the XVI century, people began to bring fans from Asia to Europe. 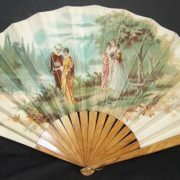 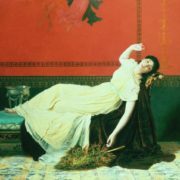 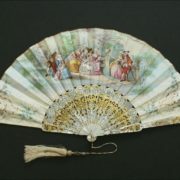 The East India companies, founded in the beginning of the XVII century, began to import many elegant Chinese fans. 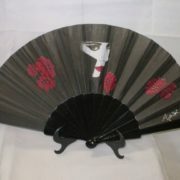 Very soon fan masters appeared in Europe. 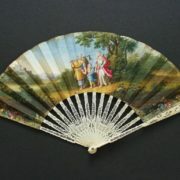 European fans were made of silk, leather, parchment, paper. 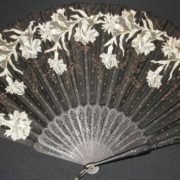 A carcass was made from mother-of-pearl, decorated with engraving or painting. 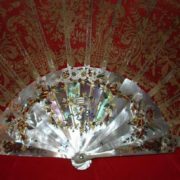 Not surprisingly, the fan became an element of palace ceremonies. 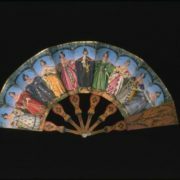 Thus, at the court of Louis XIV the ladies could open the fan only in the presence of the queen. 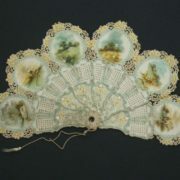 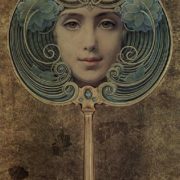 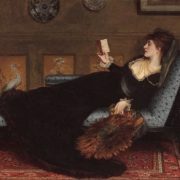 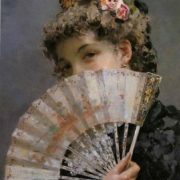 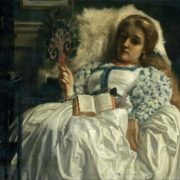 In the middle of the XVIII century, the fan from the fashion accessory became a “transmitter” of love messages. 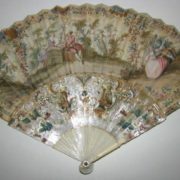 Antique Fan Carved Mother Of Pearl 1800’s.